Tom Brady is widely considered the best NFL quarterback of all time. For years, the discussion was between Brady, Peyton Manning, John Elway, Joe Montana, Dan Marino and several others, but it’s not even close at this point. He has the best touchdown to interception ratio of anybody in their career, the most career regular season and post season wins by a starting quarterback, most touchdown passes in a single season, and NFL-record five Super Bowl rings and he’s only going to keep gathering records. So, what does that all mean? Well, it means he’s probably the G.O.A.T. – which means, he’s probably the greatest of all time. 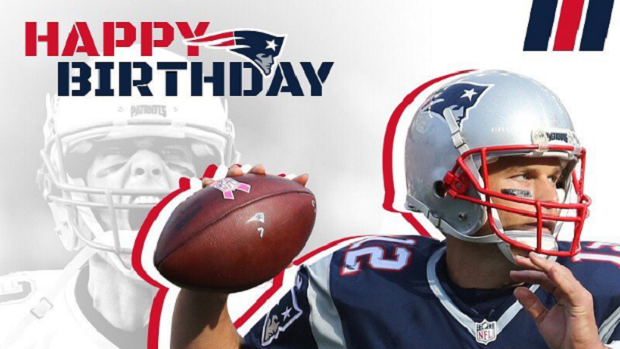 That’s why to celebrate Brady’s 40th birthday, the New England Patriots decided to bring a bunch of baby goats to training camp. Of course, then they decided to bring out one more GOAT for the fans to watch after they wrapped up at the petting zoo. While those animals were cute, this is the one that everyone was at Pats camp to see.